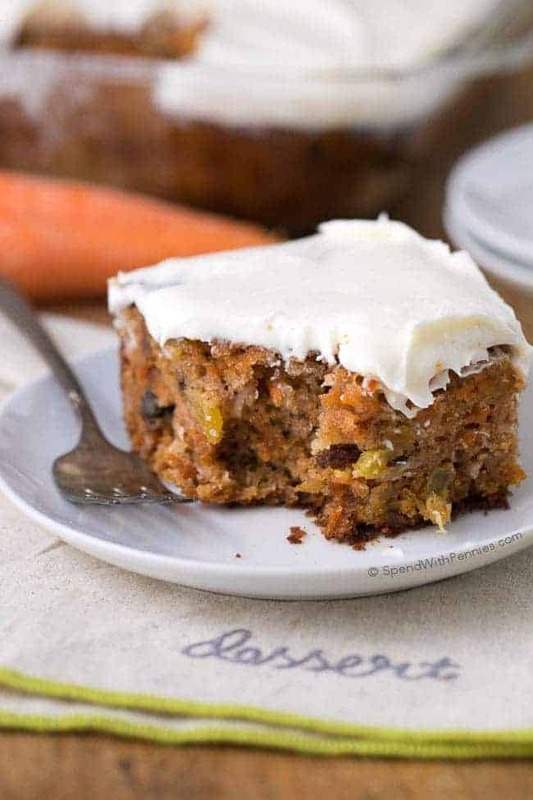 I will make this carrot cake this week for my daughter’s 3rd birthday. I don’t have any buttermilk. Is there a good substitute? Hi Maria, check out our Easy Buttermilk Substitute post for some great information on what you can use! Happy Birthday to your Daughter!! I made this today and was glad I did. This is the moist and delicious carrot cake that I was hoping for. The calories are much less than most versions, only 1/2 c of oil, that is a bonus. Thank you for a delicious recipe. You are welcome Cheryl! We are glad you enjoyed it! Do you store the cake in the refrigerator? I usually keep it at room temperature. One 8 ounce can Dianne. Enjoy! Patti, I am so glad you liked this carrot cake! I am unable to provide ingredients in grams however you can find conversions here. 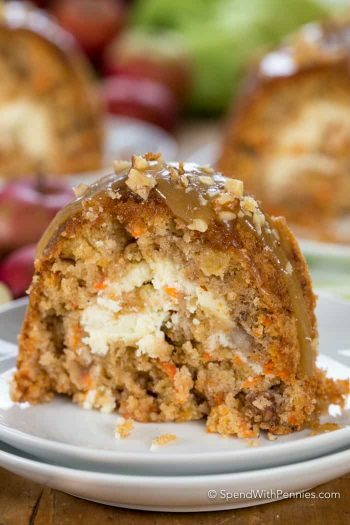 I haven’t made this but can tell you it hits all my carrot cake requirements and has apple sauce to boot. Can’t wait to try it! You’ll be happy you did Ro!! I love this recipe. But i use whole wheat flour. 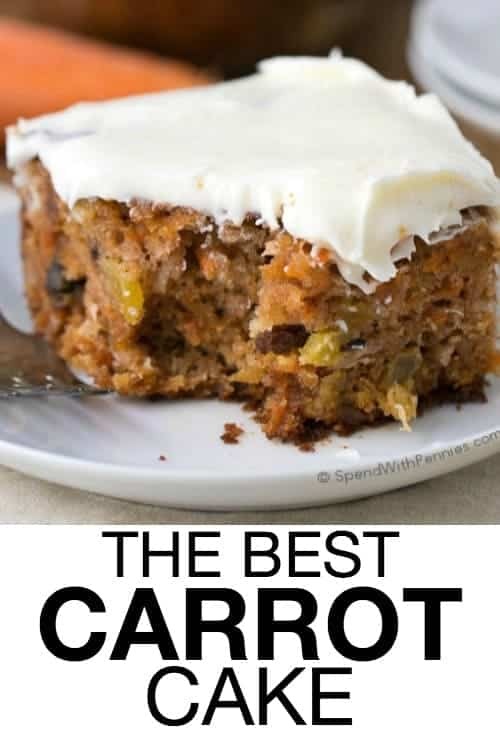 Is the best carrot cake. I am so glad you love it Rosa! I made this two days ago…OMG this cake is amazing. 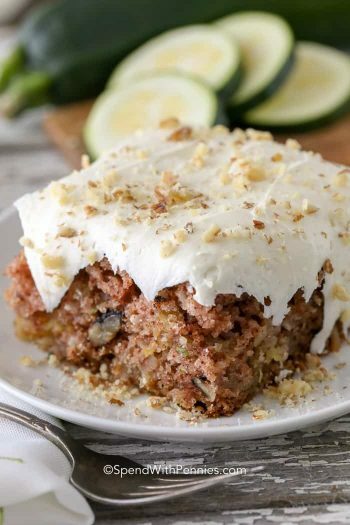 Literally the BEST carrot cake ever! 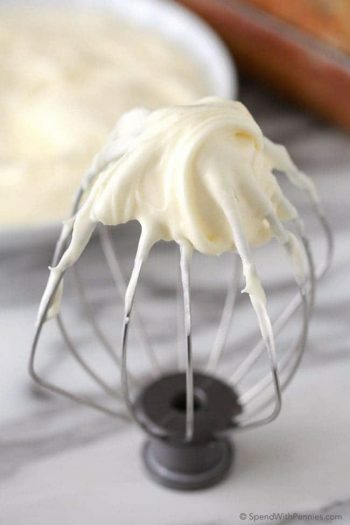 I doubled your cheesecake frosting recipe and added in extra lemon juice for a little extra tang. This recipe is definitely a keeper! I have since been the answer to my question in another comment. Thank you! Would this work as a bundt? Any m modifications? I haven’t tried it with gluten free flour. Please let us know how it goes if you try it! Hi! I’m over from StoneGable. 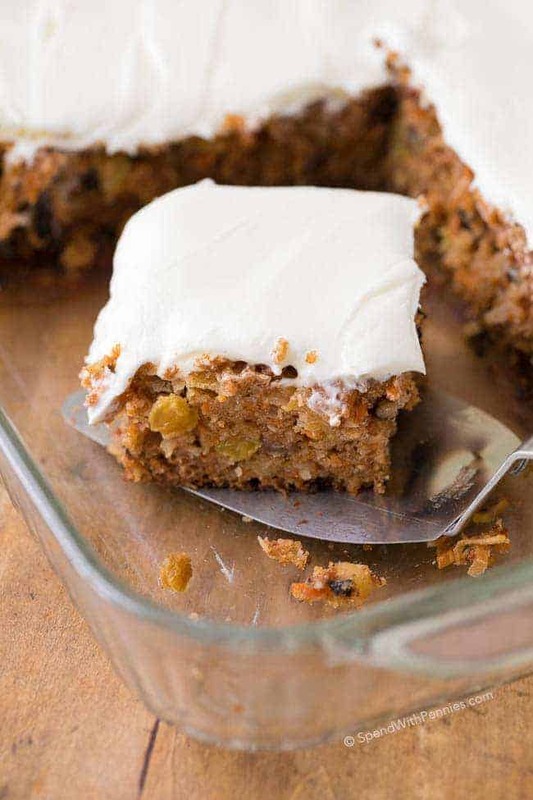 I love carrot cake and want to make this for my next book club. Not a fan of coconut though. If I delete that what do I need to make this recipe work? 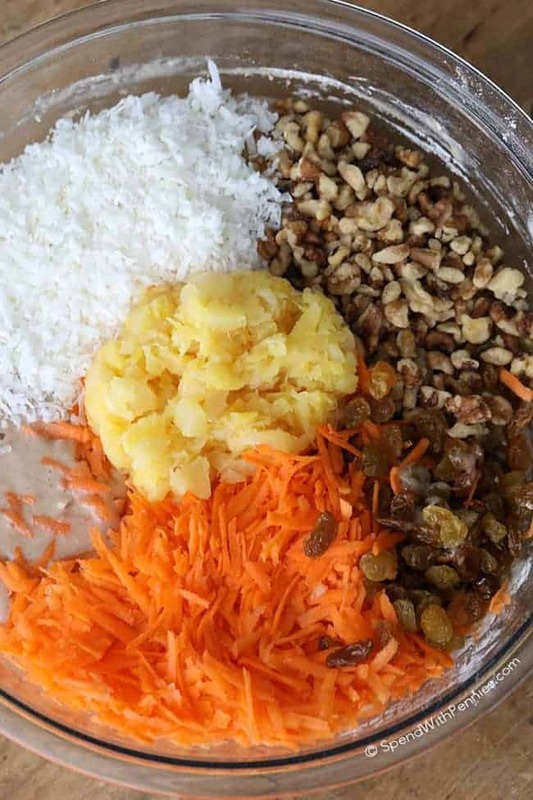 You can leave the coconut out or add extra nuts or raisins if you prefer. Enjoy! Looks delish. Can I make this into mini loaves? Looking for bake sale ideas. If so how long do I bake them? How much batter in each pan? Thank you. I am planning to bake this cake, frost and cover it with a readymade fondant as I am doing it for a event! In that case, how much should I reduce the sugar quantity!? I’ve only made it as written, so I’m not sure about that. For many recipes, you can reduce the sugar by about 1/3 cup without adjusting other ingredients. Let us know if you try it! This is the best carrot cake I have ever made!!! Make this every year for my father (89 years old), it’s his favorite as well as all family!!! So moist!! Don’t change a thing!!!! 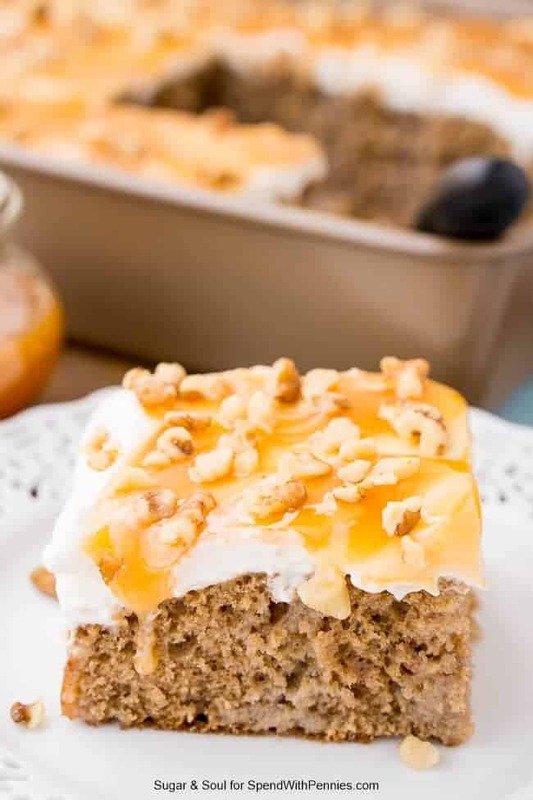 Can I use a spice cake mix box as the base.? I use unsweetened but either will be fine in this recipe. 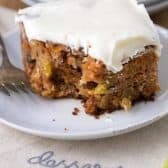 To make the carrot cake, can I use self rising flour instead of the regular flour? I have only tried this as written. If you use self rising flour, please let us know how it works out for you! Hi! Is it okay to not use flaked coconut? What can be used in place of apple sauce? Is molasses acceptable or will it ruin everything? I have only made this as written so I can’t say how your changes would affect the recipe. You can leave out the coconut and for the applesauce you can substitute extra oil. I would not recommend molasses. If I want to bake half a portion (8×8) I suspect baking time will remain same or will I need to reduce it? I would check the cake about 5 minutes earlier just to be sure, but it would take close to the same amount of time. Enjoy! This cake was a big hit with the family. Woohoo! Happy to hear it! But pls let me know how much does one cup measure!? One cup equals 250 ml. Enjoy it! Has anyone made this as a layer cake? Making this as my new Easter cake! 2 9×13 with coconut cream cheese filling, then cut into a cross. The extra squares will be made into Bibles!! Creatively Christianity!! Can this be made in a bundt pan? If so, does baking time increase or decrease? I haven’t made this in a bundt pan so I can’t say for sure. I would ensure your pan is not more than 2/3 full and bake at 325. You’ll want to start checking your cake for doneness at about 40 minutes. Please let us know how it turns out for you. Is the coconut sweetened or regular? This week I baked this cake 4 times and I am going to bake it tonight again! First time for a potluck at work. 2 at the same time for my sister (one so she can take it to work, and one for her family and friends). I posted pictures on the Facebook and tagged your Facebook page. Then I baked again for our CFO – he came today with a visit and I promised long time ago to make a cake for him. (he loved it). Tomorrow we have a meeting with out Bible study group – I still have carrots (and rest of the ingredients) so I am making again tonight. I did not change a single thing in a recipe and in all cases I had very positive feedbacks. Everyone loved it. Some asked for recipe and I gave them link to this page. I am so glad that you have enjoyed the recipe! You have some lucky friends, family, and co workers!! Look so good Going to make it tonight . Can I make this cake without the pineapple! Would I need to substitute something for it to make up for the loss of moisture? Thank you! I have only made this cake as written. Can you sub almond flour instead of regular flour or stevia for the sugar? This looks so delicious! I love that this is only one layer. I’ll be making it soon! 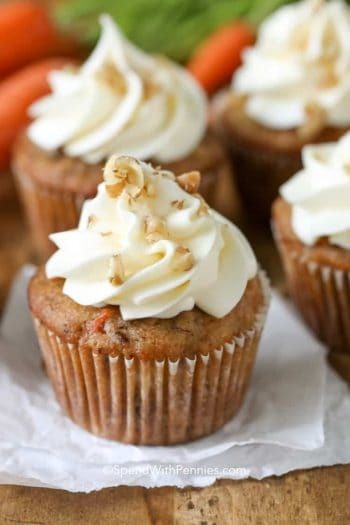 Is the cocoanut sweetened or unsweetened for your carrot cake? 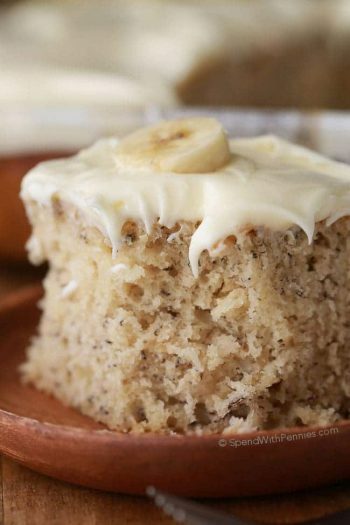 I usually use sweetened but have used unsweetened when it was all I had on hand and it worked perfectly. Enjoy! You can replace it with oil. I made this last night for my coworkers. I did not use raisins (the lady I was making this for does not like them) it still turned out great! I would post the picture, but it was gone before I took the picture. I used Cream cheese frosting. I was going to use Dried Cranberries instead of raisins, but did not want to risk it. Do you think that would work? Also – I removed the cake from the pan to cool, but served it in the pan. Could I cool it in the pan or better to remove it? Thank you again for the great recipe! It’s for sure will be permanent part of my baking “repertoire”. I think cranberries would be a yummy addition to this cake! You can cool the cake in the pan next time to save a step. I always consider it a good thing if the cake disappears before a photo is snapped, but maybe next time you will get a photo and share it with us on facebook? I would love that! Thanks for stopping by and letting me know you and your coworkers liked the recipe! Can we discard apple sauce or what can we replace with it. That cream cheese frosting is everything!!! This recipe looks wonderful! Could I also use it for cupcakes? Question. Can you use gluten free flour? I have allergies to wheat. This sounds delish! However, I am not a coconut fan. If I remove the coconut, do you think I need to replace it with something else? Thank you! 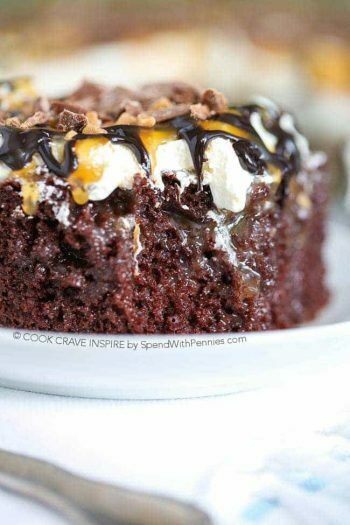 Could you make cupcakes with this recipe? Sounds great. Going to make for Easter brunch. Sound so delicious. I have question : What kind of oil. Do you think I able use the olive oil instead ? I use a vegetable oil. Olive oil will work although it does have a slightly different flavor.